I was raised in Mākaha on Oʻahu a Kākuhihewa but my ʻŌiwi ancestral roots begin in Hoʻokena at the foot of the Mauna Loa volcano on Hawaiʻi a Keawe. I grew up in a very large family (my grandmother had eleven siblings), most of whom embraced our traditional beliefs and belief-related practices. I bring these cultural insights to bear upon my study of nā mea Hawaiʻi (things Hawaiian). I am a world traveler, having visited over thirty countries, which includes living in Tokyo for four years and Rome for sixteen. I speak four languages to varying degrees of fluency (English, Italian, Hawaiian, and French), and I am learning a fifth (Tahitian) and sixth (German). Students in my classes are welcome to write their papers in Hawaiian. My thesis, written in Hawaiian for an M.A. in Hawaiian Language, was a treatise on moʻo, a class of Hawaiian reptilian water deities who once held substantial roles in nearly every sector of Hawaiian society, and whom many ʻŌiwi continue to honor. My thesis is the largest compilation of traditional and current information regarding these deities. My dissertation was a life-writing project, which chronicled the life and contributions of John Papa ʻĪʻī, a significant figure in nineteenth-century Hawaiʻi. My first book, Facing the Spears of Change: The Life and Legacy of John Papa ʻĪʻī, published in May 2016, is based on my dissertation. For the last decade, I have carried out extensive research in Hawaiian-language newspapers published between 1834 and 1948, a semi-public forum in which ʻŌiwi shared their knowledge and debated about the important topics of their time. In particular, I have gathered many moʻolelo (a narrative genre that includes belief narratives, life writing, and historical treatises), which ran as weekly or daily series for a year or more. For example, I gathered the account of Ka-Miki, which ran for four years with more than two hundred installments, and shared it with people who were interested in studying it. Our moʻolelo continually demonstrate that our ancestors did not sharply distinguish between legends and history, but wove them together in the most beautiful of ways. Most importantly, moʻolelo are much more than a narrative genre because they serve as receptacles or archives of and vehicles for transmitting ancestral knowledge, and they offer deep insights into ʻŌiwi ways of knowing and being. Many of the moʻolelo I have gathered, which offer important insights into Hawaiian religion, are not widely known because no one has every republished or translated for a wider audience. I am currently working on a book manuscript, Ka Poʻe Moʻo: Hawaiian Reptilian Water Deities, which should be completed by August 2018. Revered or reviled, reptilian deities are a global phenomenon. Across place and time, they have held and continue to hold a prominent place in the religions and cultures of many peoples. Their secular counterparts, snakes, crocodiles, alligators, and lizards, are found in most parts of the world. Nearly as ancient as the world itself, reptiles made their appearance long before humankind. Whether land or water dwellers, or a bit of both, they have slithered, crawled, climbed, and glided their way through our imagination and into our belief systems. 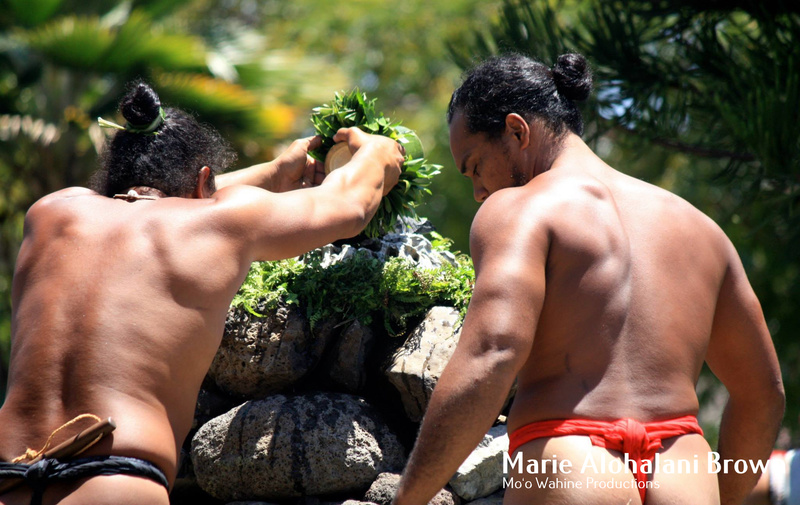 My manuscript explores beliefs and belief-related practices related to moʻo, and examines their roles in Hawaiian culture across place and time. Predominately female, moʻo deities are interesting examples of mana wahine (female power). They embody the life-giving and death-dealing properties of water, the element with which they are associated. Replicating the elusive nature of lizards, which they resemble, knowledge about moʻo lurks here and there, sometimes found in unexpected places. Moʻo, as a class of deities, vary greatly in size. They can be as huge as a mountain or as tiny as a house gecko. Some moʻo have alternate forms. Those who masquerade as humans are often described as stunningly beautiful. Tradition holds that if you come across a body of freshwater in a secluded area, and everything is eerily still and quiet, you should not linger there because you have stumbled across the home of a moʻo. And if the plants of that place are yellowed and a greenish-yellow froth covers the water, then you know the moʻo is at home. If that is the case, you should leave quickly lest the moʻo make itself known to you to your detriment. It might eat you or it might take you as a lover. Either way, you are doomed because the moʻo will consume you—completely. Additionally, I am researching the dynamicity and continuity of Hoʻomana Hawaiʻi. There is an overwhelming amount of evidence for the continuity of Hawaiian religion even after the Kapu System was officially abolished in 1819 and despite the massive efforts to Christianize ʻŌiwi from 1820 onward. This evidence is found in missionary journals, letters, and reports, and in the Hawaiian-language newspapers. Part of this research is included in my article “Mauna Kea: Hoʻomana Hawaiʻi and Protecting the Sacred,” in the Journal of Religion, Nature, and Culture 10.2 (August 1, 2016): 150-169. 2016. Lastly, I am preparing a textbook based on my course reader for REL 205 Understanding Hawaiian Religion, a core class that I teach every semester. Facing the Spears of Change: The Life and Legacy of John Papa ʻĪʻī This book takes a close look at the extraordinary life of John Papa ʻĪʻī. Over the years, ʻĪʻī faced many personal and political changes and challenges in rapid succession, which he skillfully parried or grasped firmly and then used to fend off other attacks. He began serving in the household of Kamehameha I as an attendant in 1810, when he was ten. As an attendant, ʻĪʻī was highly familiar with the inner workings of the royal household. He went on to become an influential statesman, privy to the shifting modes of governance adopted by the Hawaiian kingdom. ʻĪʻī’s intelligence and his good standing with those he served resulted in a great degree of influence with the Hawaiian government, with his fellow ʻŌiwi, and with the missionaries residing in the Hawaiian Islands. At the end of his life, he also became a memoirist and biographer, who published accounts of key events in his own life and in the lives of others during the sixty years that he served his kings, his nation, and his people. As a privileged spectator and key participant, his accounts of aliʻi and his insights into early nineteenth-century Hawaiian cultural-religious practices are unsurpassed. ʻĪʻī’s life narrative provides the context for understanding Hawaiian history, culture, and religion, and a point of departure for future discussions on the same. Notably, religion is one of the key threads that form the fabric of ʻĪʻī’s existence, and this biography lays the foundation for future analysis on the Kapu System before and after its official abolishment in 1819, but also how certain ʻŌiwi negotiated the transition from Hoʻomana Hawaiʻi to Christianity—or conversely—how certain others continued to practice Hoʻomana Hawaiʻi, and kept beliefs and belief-related practices alive. Mauna Kea: Hoʻomana Hawaiʻi and Protecting the Sacred (The Journal for the Study of Religion, Nature, and Culture 10.2, August 1, 2016: 150–169). 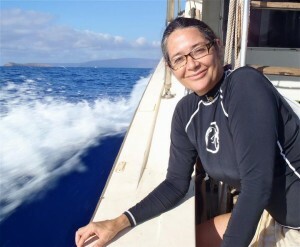 Mourning the Land: Kanikau in Noho Hewa: The Wrongful Occupation of Hawaiʻi (American Indian Quarterly 38.3, Summer 2014: 374–395) Accessible upon Login with UH user name. For several years now, I have offered my services as a photographer to the ʻŌiwi community to document our events—whether political marches, religious gatherings, protests, demonstrations, testimonies, poetry readings, conferences, or celebrations. I take thousands of photos and distribute the best ones free of charge through social media networks. For complete course descriptions see UH Mānoa Course Catalog.